Previously, we examined how professing Christians disparage Jesus, and that many of those are theistic evolutionists. Another way to undermine the gospel message is to say that Adam was just an illustration and not a real man. We hear that kind of thing and worse (such as the old "book of fairy tales" nonsense) from atheistic sidewinders, but people who actually believe the Bible should be above dismissing Adam. If you study on it, you'll see that the Bible is written as history. Specific names, dates, events, and so on are provided. Mythology does not have such detail. The primary reason for Christians to reject a historical Adam (as well as special creation) is to force-fit evolutionary views into Scripture. These foolish folks cause themselves a heap of serious problems when they do this, such as needing to explain why a fictitious character is referred to as a real man in Luke's genealogy of Jesus (Luke 3:38), that Paul contrasts Adam with Jesus (1 Cor. 15:45), and Jude also calls Adam a real person (Jude 1:14). 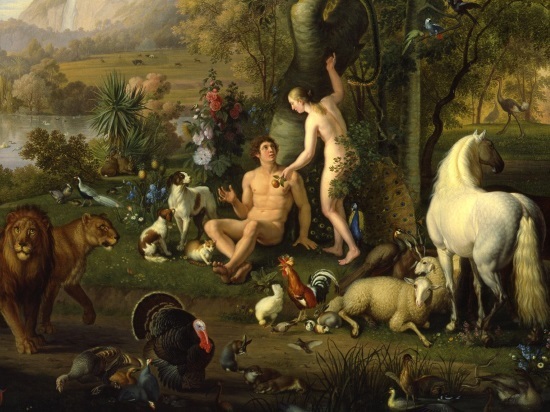 There are some deeper issues involved as well, such as how rejecting Adam undermines the gospel message — which theistic evolutionists and liberal "Christians" claim to believe to some extent. One jasper plays semantic games by saying that in one particular place, the apostle Paul does not say the name Adam. Oh, please. The Apostle Paul often found himself in a cultural context in which he had to deal with many objections to the Christian faith. In 1 Corinthians 15, for example, the Corinthian congregation was questioning the future resurrection of believers: “How do some among you say that there is no resurrection of the dead?” (1 Corinthians 15:12). Two thousand years later, not much has changed. Just as the culture in Paul’s day was permeated with Greek philosophy, so it is today. The worldview that undergirds Darwinian evolutionary thought is essentially Greek at its core.1 Many Christians are still integrating Greek philosophy into Christianity; however we have just given it the name science rather than philosophy. To read the entire article, click on "How Do Some Among You Say There Is No Adam?"